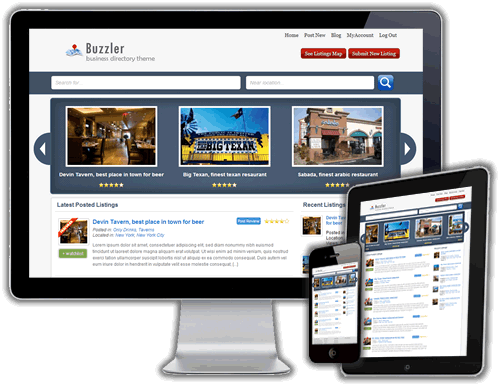 Buzzler is one of the best wordpress directory themes and software for wordpress, available on the market today. With its reach feature framework you can launch a directory or a review website in minutes and can start making money from the first minutes after downloading Buzzler. 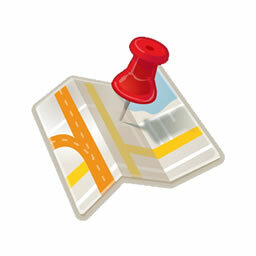 It comes with geo tagging and geo location capabilities, using google maps. And launching a geo map directory website becomes a walk in the park. Also the Buzzler directory theme comes with a feature-rich admin area from where you can control everything happening on your directory website. You can control the layout, the design, the colours and so much more, and you can give your website the uniqueness to make it stand in front. It even has predefined payment packages, so you can define free listings, paid and featured listings, and memberships for your users. It can even be integrated with BuddyPress (on demand) to make a review network website, something similar to Yelp. Below you will find a list of the most important features available in the new version of Buzzler theme. Also we will show all the monetization tools available in this theme so you know how to make money online out of your website using Buzzler. You will find a more comprehensive feature list on the buy now page once you decide to buy this amazing theme. With Buzzler theme is very easy to squeeze money out of your website. 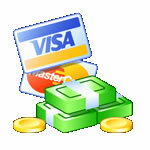 Its very easy to turn on the listing fees, and charge for normal listings, or featured listings. Also you can charge per listing image or sell membership packages for your website. If you want a free directory website, you can sell advertising spots in your website, since Buzzler comes with multiple advertising spots (also google adsense can be installed). 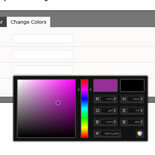 The theme comes with a very easy to use colour picker tool. You can make your website stand out from the others by combining different colours with different layout styles. All of these controlled from backend area, which puts you in total control. A very easy to use feature, even the absolute beginner user will be able to make his website unique. Users have their own custom private user dashboard, through which they can control their current listings, add listings to their watch list and also change their personal details, like password, name and avatar picture. The users can also relist expired listings and control their reviews. Buzzler lets you control the layout of your website, making it stand out in front of the others. 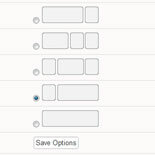 Based on an admin setting you can choose between 5 different layouts, varying the number of columns. You can drag a bunch of widgets even on your homepage and install sliders or fancy jquery scripts. Buzzler theme uses the GNU gettext WordPress localization framework. All the strings are kept in a pot/po file. 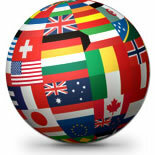 You can use a special tool, called POEDIT and translate the provided english file into your native, or desired language. It also works with any multi language plugins you want to use. If your business has been posted on the website by someone else you can claim your listing by using this special feature. The admin is notified and can change the owner of the listing so you can manage the listing for your business from your account. Our theme comes with all the fancy social connect options. Your users will be able to connect and login to your website using their social network accounts. Buzzler supports Facebook, Twitter, Yahoo and WordPress login options. 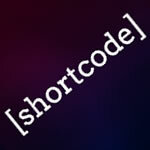 Buzzler comes with a bunch of shortcodes, a lot of hooks you can use when you build websites with a child theme. 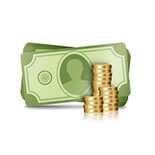 Everything is documented and will be provided to paying and registered users. And our API is well documented too and can be used in child themes. Having a directory website often requires unique custom fields for your type of website. Buzzler comes with a form builder and you can add custom fields for each of the categories for users to fill when posting a listing. The values will show on the single listing page. You can attach a map to each listing you post on your website. Also the advanced search page will show a big map with all your posted listings or with all listings that match your search criteria. You can also define geo coordinates like longitude and latitude for each listing. The Buzzler Theme comes with an advanced search page. Your customers will be able to search based on category, location, and custom fields, plus radius search based on address or zip code. All of that will be displayed in a big google map to guide your customers even better of each listing location. The listings support other file uploads than images. This way you can upload extra information about your listing. 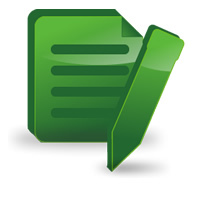 For example if your listing is about a restaurant then you can upload the menu as a pdf file. 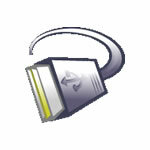 The supported files are: PDF, DOC, ZIP and others. Each user has its own favourite list where they can add items to watch later. 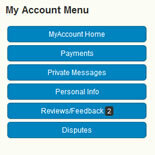 The watchlist feature comes packed with any version of the theme and is a very useful tool for your customers. Also in their account area they can manage and control the content of the watch list.